ATLANTA (Dec. 3, 2018) – Ceto and Associates, a nationally recognized consulting firm in the financial industry, promotes Matthew Speed to vice president within the Consulting Services Group. In his newly appointed position, Speed will direct and manage Market View engagements across the U.S. and Canada. Speed’s banking expertise and knowledge will assist clients in gaining valuable insights into their market and competitors to offer services, which deliver benefits to customers and its bottom line. 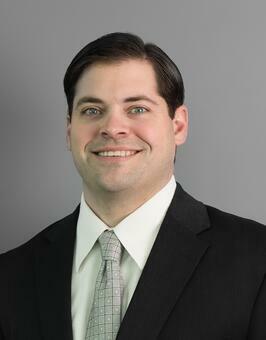 “Matthew has proven to be a great asset to Ceto and Associates. His strategic, forward-thinking approach and extensive experience in banking will continue to help financial institutions see increases in their profitability,” said Richard Holtzman, senior vice president of the Consulting Services Group. Speed joined Ceto and Associates more than five years ago and quickly distinguished himself as a key player on the team. With more than 16 years in the banking industry, his expertise includes retail banking, commercial banking, capital markets and wealth management.